We hope that this new feature makes it easier for you to find your way! 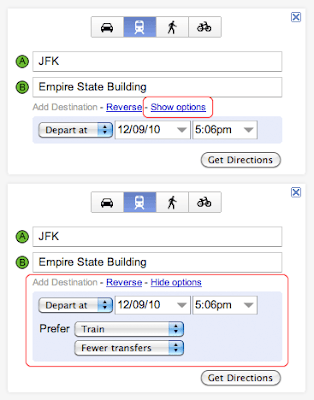 To get started, please visit maps.google.com/transit. 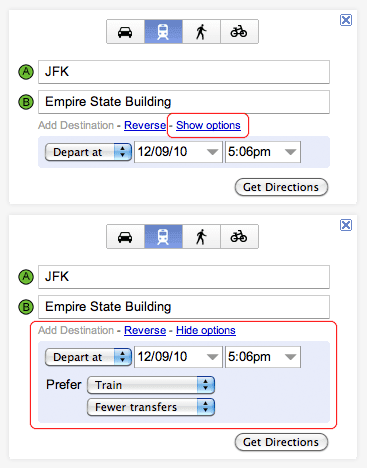 We recently released advanced options for getting public transit directions on Google Maps, helping you customize your route based on your personal preferences.